Based in Belair, Jackson & Associates Solicitors are a well known local name in dealing with Wills, Powers of Attorney, Advanced Care Directives and Probate / Deceased Estate Administration. These are our only areas of legal practice therefore we are able to offer you a personalised, excellent, and efficient service when required. Unexpected situations do arise in life so having a sympathetic law firm working with you during such difficult times can ensure that you deal with the legal challenges with minimal stress. 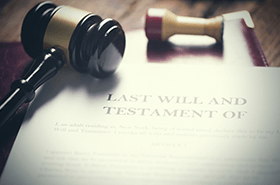 If someone who passed away has nominated you to be an executor for administering his/her estate, then a grant of Probate may be required before you can take control of the estate’s assets. 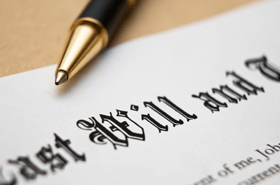 A Will is one of the most important documents you can prepare. With our capable legal team working with you, dealing with matters concerning wills, intestacy issues, testamentary trusts, donating to charities, updating wills etc. can be free of stress and headaches. 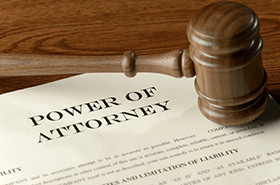 An Enduring Powers of Attorney allows you to plan for unexpected events like accidents and illness and authorises someone chosen by you to make decisions about your finances and assets on your behalf. An Advance Care Directive enables you to for the medical care you receive in situations where you are unable to make those decisions for yourself. When life takes unexpected turns, unplanned expenses can crop up. Coupled with the legal complexities, such financial burdens are often stressful. We at Jackson & Associates work out the best possible legal solution by keeping you – and not money – as the priority. Jackson & Associates Solicitors provide you legal advice to let you make the best possible decisions in your situation. Being your lawyers is not just about drafting contracts and legal documents, it is much more than that- we at Jackson & Associates understand this and work on all cases with a fair and professional approach. Jackson & Associates Solicitors are known for their professional approach to the cases they undertake. We assist in legal documentation, negotiations, evidence gathering, court appearances and many other aspects of legal proceedings. Our team of lawyers have specialists extensively dealing with wills, Powers of attorney and deceased estates cases. Our unmatched experience ensures that we can achieve the desired outcome for you. For any questions or advice about Wills, Powers of Attorney, Advance Care Directives or Deceased Estate Administration, get in touch with our friendly team at 8278 8566. 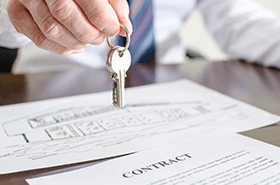 We ensure complete respect, confidentiality and best possible legal advice. Mark Jackson has been serving the clients in South Australia for their legal requirements related to wills and Powers of Attorney. Established in 1980, Jackson & Associates are known as trusted and reliable solicitors in Belair, SA.